Having watched the Autosport Awards the other night on the motoring channel, presented by oor David and Miss eLeegance herself, I was struck by the lack of rallying recognition. There were two main awards for International Rally Driver of the Year and Rally Car of the Year, all the rest were for racers, racing cars and racing glitterati. For instance, the National Driver of the Year award is open only to those racing in BTCC, British GT or Formula 3 while the Club Driver of the Year is open only to British drivers in any class of TOCA supports and below. No rally drivers, or co-drivers. And not a mention on the BBC Sports Personality of the Year Awards either! That's fair enough I suppose, it's their awards and they can choose, but on that basis rallying surely needs is own bigger, bolder and better platform. We always seem to be playing second fiddle to the racers. Derek Warwick has done a tremendous amount for young race drivers nationally while Graham Brunton and the SMRC have done a lot for young Scottish drivers, but where is the driving force behind British and Scottish rallying talent? Nowhere, apparently. Such a scheme is so far off the radar an explorer couldn't find one, not even if he had one of our top co-drivers helping him. We need a recognised figurehead to campaign for our sport and we need a national organisation to back it. For sure the various rally championships all have young driver awards and incentives and prizes, but there is nothing on as grand a scale as the Autosport awards which are highly regarded right around the globe. Nor are there any financially backed rally scholarship schemes, prize drives and manufacturer test sessions to fight for. If there is hope for the future then it could be that the new Chair of Motorsports Council may yet bring some sunshine into this dark corner of motor sport. Dave Richards takes over from Alan Gow on the 1st of January and he has a foot in both camps, rallying and racing, whereas Mr Gow was distinctly one-sided. Also, the sport itself needs more support and more exposure as things are looking quite bleak at present. Despite the enlightened report following the FAI in Edinburgh, closed road rallying faces a decidedly tough and uncertain future. If the show does get back on the road, one can only wonder at the restrictions that will be placed on organisers. More officials and more marshals will be needed to man shorter events with fewer stages just so that spectators can be contained and managed. And it's the same in the forests. There's a growing need for ever more strict requirements on how such events are manned and run. And it's not as if we are getting any leadership or encouragement from those whose wages we pay through licences and permit fees. For instance the FIA has suggested that World Rally Championship stages should be around six miles long and endurance should not be a factor. This madcap plan was announced by their new-ish rallying 'supremo' Jarmo Mahonen who joined the FIA 5 years ago. A surprising idea perhaps from the man who previously ran the Finnish Motorsport Federation and promoted Finland’s round of the FIA World Rally Championship for many years. And since the Rally of Finland includes such fearsome delights as the 24 km Ouninpohja and 23 km Päijälä tests, it makes you wonder what the Finnish rally fans would make of their countryman. Perhaps it's a good job Mr Mahonen will be based in the FIA's Geneva office. He prefers the idea of two loops of short stages and a lunchtime service, as opposed to last October's Wales Rally GB format, criticising the long day of 140km (87 miles) with no service and no service at all on the first day. He is also of the opinion that the Rally Service Park should be visited more often to generate more opportunities for the teams to provide hospitality and more 'entertainment' for spectators. Think World Touring Car Championship - on gravel! Of course those with 'our best interests at heart' will listen intently and nod in agreement and then dictate to us the future of our sport. And we can't do a single thing about it. One of the reasons for that is the low public profile that our sport has even at World Championship level. The glory days of McRae and Burns making headlines around the globe are long gone. It was obvious from the mainstream media reporting on the FAI just how little news and 'sports' reporters know about our sport. And that is worrying too. How are we going to attract and educate them? Particularly when it is becoming more difficult to attend rallies in a media capacity. 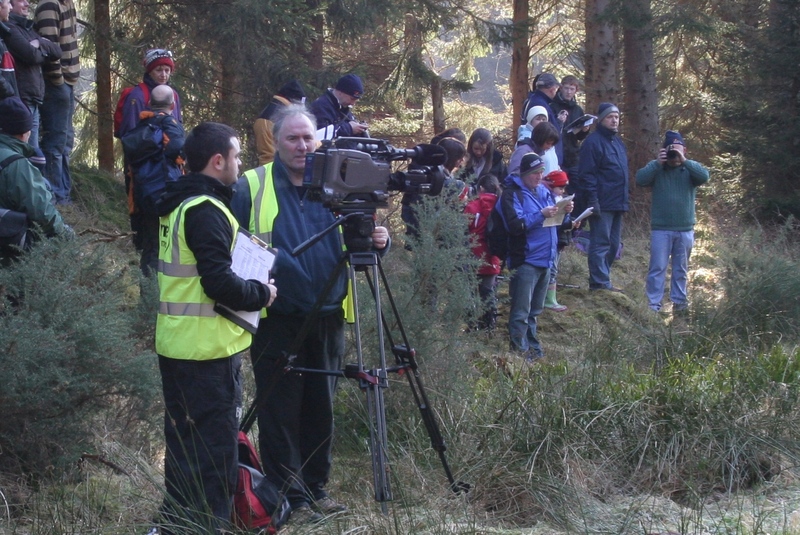 For instance, a recent forest special stage rally stated in their 'Media' section that ONLY MSA accredited journalists and photographers would be accommodated. That rules out the local newspaper, agencies, freelances and local radio and TV stations. Me too, since I haven't signed up to the MSA media accreditation scheme. For my part that was a deliberate choice as I don't agree with the current format. There is no incentive to sign up. And yes, I have told them I'm not signing up to it and why. Fortunately, I have been around long enough that I can go about my duty without such accreditation and most events will allow me to sign-on, but if this recent example of discrimination catches on, then how will the youngsters and cub reporters get started? Thirty years ago in a 'Rally Sport' column I accused the MSA of being an unelected and unaccountable self-perpetuating oligarchy. We paid them and they told us what to do and how to do it. Anyway, the future is looking a wee bit more hopeful. Following the conclusion of a 'Strategic Review' instigated by Motorsports Council the MSA Executive Committee will not be allowed to pick their own candidates for specialist committees and committees will be allowed to elect their own Chairman. There will also be a new system of 'national' and regional committees. It's not democracy, but it's a step in the right direction. It remains to be seen how the new ideas will be introduced and implemented, but it will only work if we get the right people in the right positions. And that is down to us, the licence and permit fee payers and the car clubs and their members. That is possibly our biggest challenge. I'm not sure what it's like around the county, but up here in the far north, the Scottish Association of Car Clubs' quarterly meetings are full of grumpy and very cynical auld gits (me included) and not enough youngsters. If these new National and Regional committees are to have any chance of shaping the future then we should not promote and appoint simply based on age and experience, we need youth and vigour as well to fight for the cause. It's not simply a matter of promoting our sport to attract young drivers and co-drivers, we need to enthuse the organisers and volunteers of the future too. Choose wisely. I'll keep you posted.